How To: Collect ETL/WPT tracing diagnostics when you can never logon to the host. Me! I left Microsoft of my own accord last year. I came back. I wrote this about my experience, I hope you enjoy it. Anyways, I was asked a few times recently, Dude, how do you collect an ETW trace for boot/logon if the machine never lets you logon? Is this a chicken/egg scenario?! We need the trace to find out why we never get to desktop, we can't get the trace because we can't get to desktop to stop it?! Well friends, I'm here to say you can in fact collect your hard won trace! – Safe mode w/Network copy the Windows Performance Toolkit folder onto the troubled node. – Boot up system. Don't logon. Copy WPT directory onto system. Now that the system has a xbootmgr trace and is shutting down and rebooting…. Wait to logon, when prompted, do so. set a scheduled task remotely or locally in safe mode if that works, to run xperf -d C:\directory\merge.etl in some directory you made. (tasks need to run in system context). Problems with this? Don't get it? Ask questions/comment please. I'm here, for you. 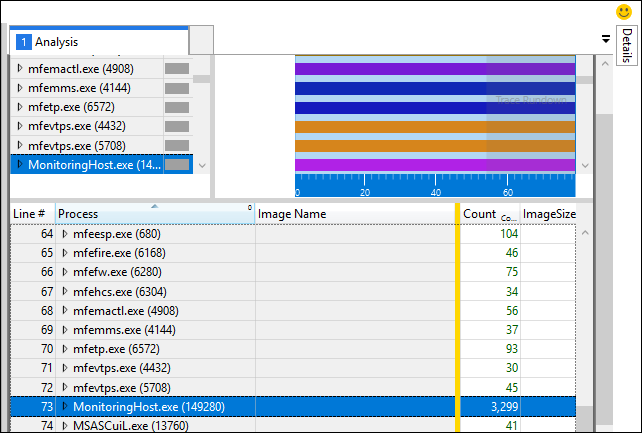 Xperf for the layman, performance analysis unchained, Windows Assessment Toolkit revealed. If you have been following along in performance land the last year or three, you’d hear about xperf and the WPT (Windows Performance Toolkit). Mayhap you’ve had some time to practice and you know what you are doing. Cool. This tool might still interest you. If you, on the other hand, haven’t heard of these, or haven’t had the time to spend to get good at them, then this tool will definitely interest you. It is the Windows Assessment Toolkit. Unlike the Windows Assessment Server, which I’ll speak to later, Windows Assessment Toolkit it a stand alone, infrastructure-less toolkit designed to help layman and skilled professional alike with client performance analysis. This is an option for both Windows 7 and Windows 8 by the way. A fair amount of them can be run on Windows 7 as well as 8. So if you don’t want to stand up the infrastructure of a Windows Assessment Server, use this to vet out the performance of hardware, your build, third party filter drivers like AV, DLP, NAC, etc. The key to this UI though is to click “Configure” down at the bottom next to the Run button, because that’s what you can use to determine which of these ad-hoc test cases can be run against Windows 7 as well. And then you can run it on a machine without having to install any console. So click Run to do a test case. 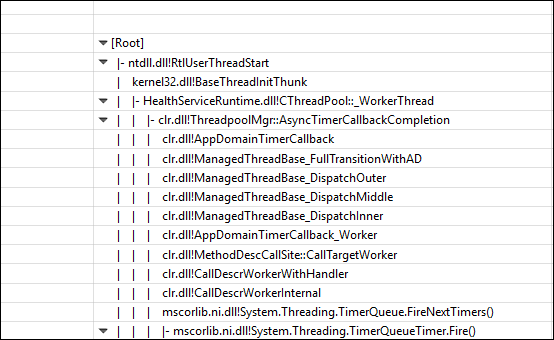 See below, we’re selected on one of the found issues and on the right hand pane we get an explanation of what the problem and recommendation are to remediate, along with a link to TechNet on what the ‘deal’ is. Take the time to use this in your environment on workstations….why you are going to ask? What does it get me? The File Handling test case will give you a crystal clear idea of DLP or AV’s ‘cost’ to performance in terms of file io. Boot up is a general holistic view of the boot up process and the impact of everything on it. 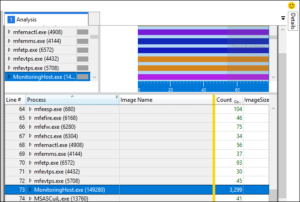 Internet Explorer browsing experience is a collection of pages the job will hit locally for graphics rendering. It’s pretty slick. Run it and see. How good is your GPU and GPU driver at hardware rendering? Find out. Check this out, see how it works, and it’ll even point you to issues in the ETW files and you can use this as a jump start to real ETW trace analysis on your own. What does a good boot look like (aka, what should I be happy with)? It’s a question I wasn’t prepared for in class last week, but one that made sense really. For the IT Pro that doesn’t eat breath and sleep this stuff, what does a good or ‘fair’ trace look like? What we are looking at here is a boot up that finishes before 45 seconds, with post boot delay quieting in the 60-ish range. Not bad. I like getting to a useable desktop in less than a minute, and this boot delivers that. Do we see any boogeymen here? Nah, not really. This is a healthy boot. CPU doesn’t spike and/or ride high through boot. Disk doesn’t ride at 100% through it, so we’re not exceeding storage’s ability to deliver with the boot demand. DPCs are low, we don’t have a bad driver, etc. This is a good boot. Assume the following: You have a Windows 7 host that you want to collect a trace from. The user complains of audio issues, stuttering, latency, etc…or video frame rate is low. Something annoying. 2. Make sure the user account we want to trace is local administrator, even temporarily. After we have that, install the Windows 8 ADK on the target machine, or copy the Windows Performance Toolkit from a machine it has already been installed on onto our target machine. 3. For audio and video glitches that are easy to reproduce, check the scenario you are reproducing in the scenario analysis area. Change Logging Mode to File based and hit start. 5. When it reproduces, click Save and save the file off, review in xperfview or Windows Performance Analyzer to determine the cause of the glitches, probably DPCs from usbaudio drivers, but what do I know…. “But way Dude! What if this isn’t easy to reproduce?” you may ask…. 6. If this is not easy to reproduce, get setup to collect a trace as above, but don’t use WPRUI. Instead, elevate a command prompt, go to the root of a drive, I’ll use C: for the example, and do the following after you have DisablePagingExecutive set and WPT installed…make a trace directory and cd to it. 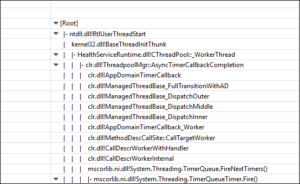 Now you can open results.etl in xperfview.exe or Windows Performance Analyzer and look for DPCs and so forth that might be causing the issue…. Assume the following: You have a Windows 7 host that you want to collect a trace from. A good trace. One that you know other people will be able to decipher as well as yourself. Maybe I’ve asked you to collect a boot trace so I can look at it and pointed you to this blog. Maybe your Sherpa of IT has decided you should learn this and you are doing it to learn…. In any event, you have a Windows 7 host. 4. Click “Start” and then type something into the box and select a convenient place to store your trace and then hit “Save” which will reboot your machine and collect the trace. 5. Let it reboot, let it logon as the user you specified in the auto logon, let it count down the normal boot process and end with the ETL trace in the directory you specified. Get me that trace, stat! Or if you are doing this to learn, poke around in it in XperfView.exe and WPA.exe, two entirely different ways to view the data set. Hope this helps, after I stand up a VM or two I’m going to do some WPA examples…. Fa-La…It’s the magical mystery tour…..
Well, not really, but it is the Windows Assessment Server brought to us by the Windows 8 ADK! Lets fire this bad boy up and play around with it. Step 0. Prepare your environment. Start the Windows Assessment Service – Client and click to configure the server. It’ll do a lot of work. This server is a Windows Server 2008 R2 SP1 Server running 10G E cards to talk to storage and it performs like it shouldn’t. And Holy Moly! DPCs consume more CPU than any one thread on the box. Googly moogly! We’ve got a problem here. But why? What does it mean? Here we go, our DPCs are in SYSTEM (4), module elx_octeamvlan.sys. But wait, there’s more, why? Same function call in each of the three cores, lots of wait times. We’re having trouble with the drivers implementation of how they talk on the network via NDIS. They are aware and I believe have already fixed the problem. Woot! Another happy customer.